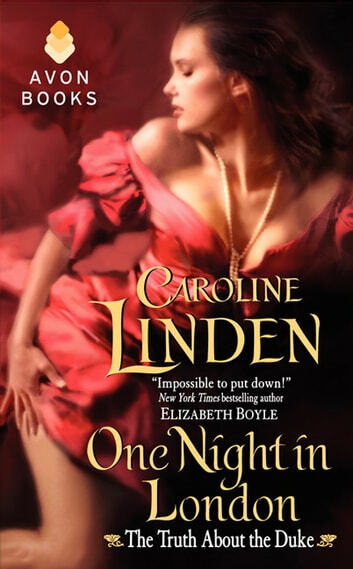 With One Night in London, the sensational Caroline Linden kicks off a wonderful new historical romance series about three brothers trying to protect their good names and their fortunes while finding true love. Readers of Elizabeth Boyle and Liz Carlyle will not be able to resist this tantalizing tale that has the middle son of a recently deceased English duke hoping to avoid scandal and ruin as he searches for the young wife his late father never divorced…and encounters instead a desperate beauty who needs his help to rescue an endangered child. Caroline Linden is a master of romantic adventure—as the RITA Award-nominated author has already proven with You Only Love Once, For Your Arms Only, and A View to a Kiss—and her ever-growing legion of fans will never forget this thrilling and sensuous One Night in London.